Yes, I’m on vacation but I had to blog about my Skype usage on the iPhone. I was able to download the app via the hotel Wi-Fi and started making calls right away. 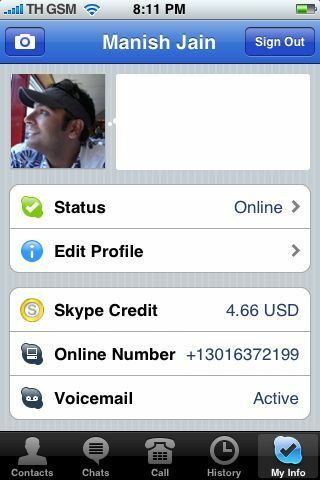 I’m in Thailand and used Skype to call back to India at 9 cents a minute. The prepaid SIM card rate is something like 80 cents a minute. I love it…now back to my vacation. And yes, this entire blog entry was done via the open source WordPress iPhone app.